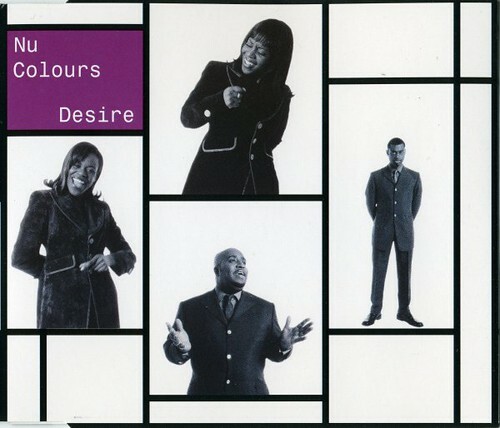 The mixes and the dubs: Nu Colours "Desire" - 1996A lost Masters At Work mix? A lost Masters At Work mix? Any garage-head will know about Nu Colours. Desire was one of those songs that wore on me after a while; The Masters At Work dubs were everywhere at the time, and I just got sick of hearing it. Then recently I bought a CD compilation on eBay (for the Horace Brown track) and found another MAW mix of Desire on it, the Style mix, clocking in at over 11 minutes long. Can't find it on any other blogs, can't find it on Discogs. Very strange indeed. Even stranger is that mix is pretty damn fine! So why didn't this very decent, full-length Masters At Work mix get released back then? And why did it seem to disappear completely? Who knows. Anyway, I'm happy to share it here for fans of the group and - especially - fans of the wonderful Masters At Work. Click to download an audiophile FLAC version (79MB) or iPod-friendly AAC version (23MB) of Nu Colours "Desire (Style mix)" by Masters At Work. And here's the original video which cleverly gets around the obviously saucy nature of the song by heavily featuring a steam train (numerous shots of trains going into tunnels, coal being shovelled into the boiler engine, etc). At around 2'52" you'll see the couple that have been smooching since the beginning. The bloke points to the end of the carriage where the toilets probably are, and they both go off there looking very smiley. Desire indeed! This is amazing!! It sort of sounds to like The Radio Edit and Dub #3 infused somehow. Anyway, I thought my Desire remix collection was complete but abviously it wasn't. Thanks to you it is... Unless another lost one pops up from somewhere lol. YO, I've been looking for this version everywhere man. Huge respect for uploading.